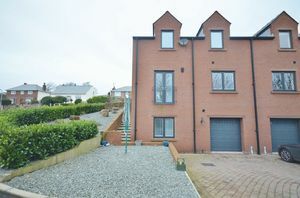 It is not very often homes of this standard become available on the market, especially in the sought after village of St Bees. 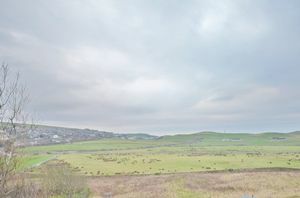 The property was built by a well respected builder and has been maintained by the current owner and is in a like-new condition. 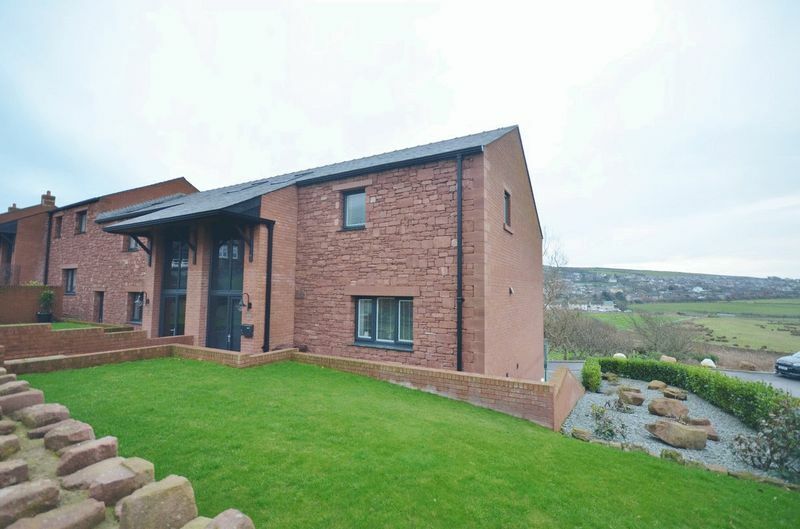 Set over three floors the property benefits from plenty of living and enjoys uninterrupted, picturesque views across St Bees. 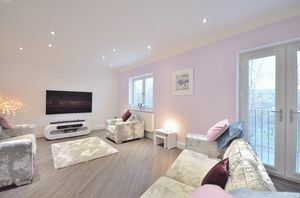 Finished throughout to the highest of standards the property is now ready for new owners to call it home. This picturesque village boasts a famous, long sandy beach and clifftop which are popular with walkers. 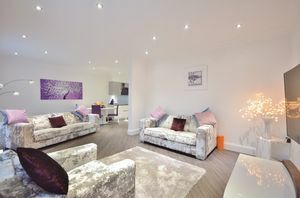 There is a wide range of amenities including a train station, pubs and shops. 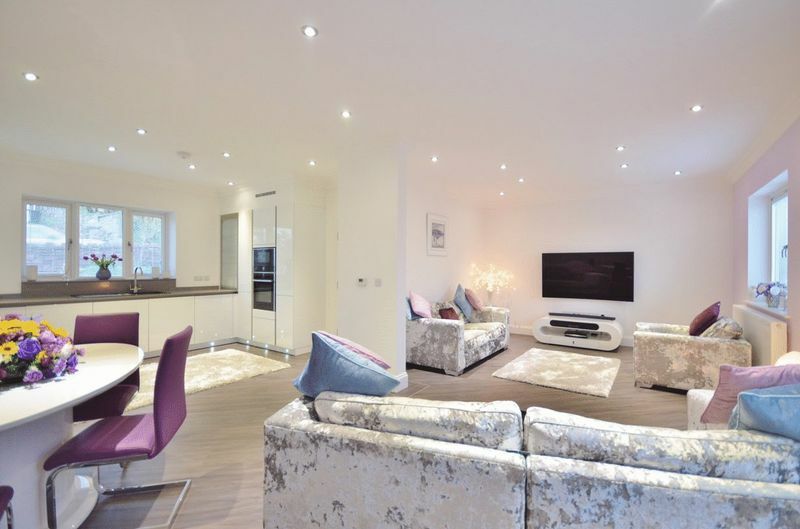 The property has a impressive entrance hall, stunning open plan lounge/kitchen/diner with integrated appliances, quartz worktop and French doors with a Juliet balcony. There is also a WC. 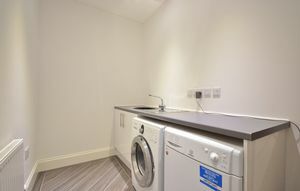 To the ground floor there is a utility room, bedroom and a shower room, which could in-effect act as an en suite. There is also access to the garage. 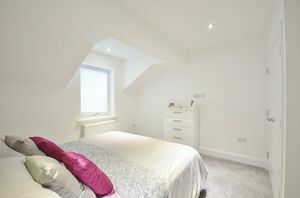 The second floor has two bedrooms both enjoying elevated views, built-in wardrobes and the master boasts an en suite. The immaculate four piece bathroom is also located by the bedrooms. 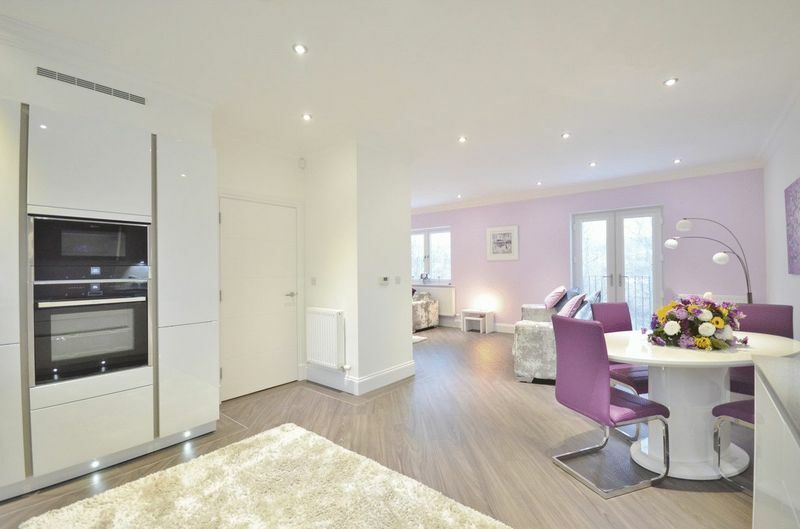 The property has a low maintenance garden and a drive for two cars which leads to the garage. Internal viewing is essential to appreciate the quality, style and finish of this executive style home. 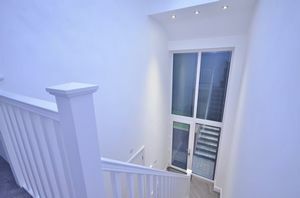 A most impressive hallway is entered through a composite door surrounded by three large windows with integrated blinds. 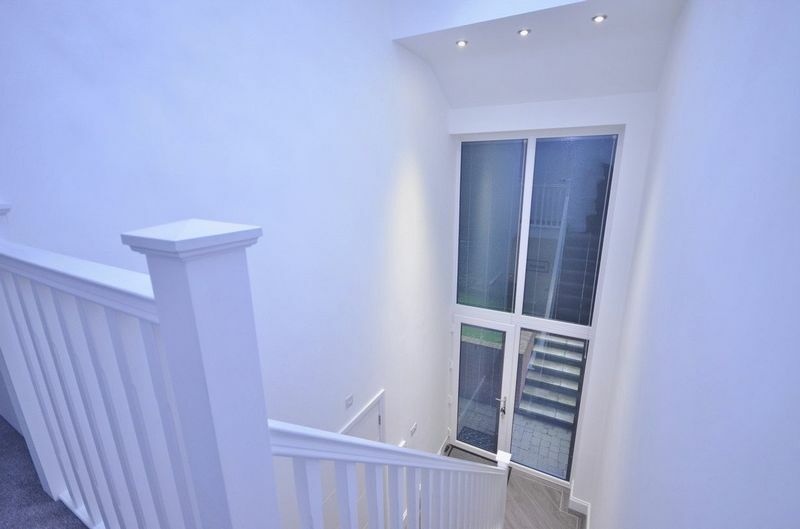 The hallway has an eye-catching high ceiling with ceiling spotlights and a skylight. There is Karndean flooring, radiator and leads to open plan lounge/kitchen/diner, WC, down to the ground floor and also to the second floor. Lovely, light and airy room benefiting from a continuation of the Karndean flooring, ceiling spotlights., connections for a flat screen TV with satellite, TV and phone connections. There are two double panel radiators, uPVC double glazed window and uPVC double glazed French doors opening up to a Juliet balcony and enjoying attractive views across St Bees. 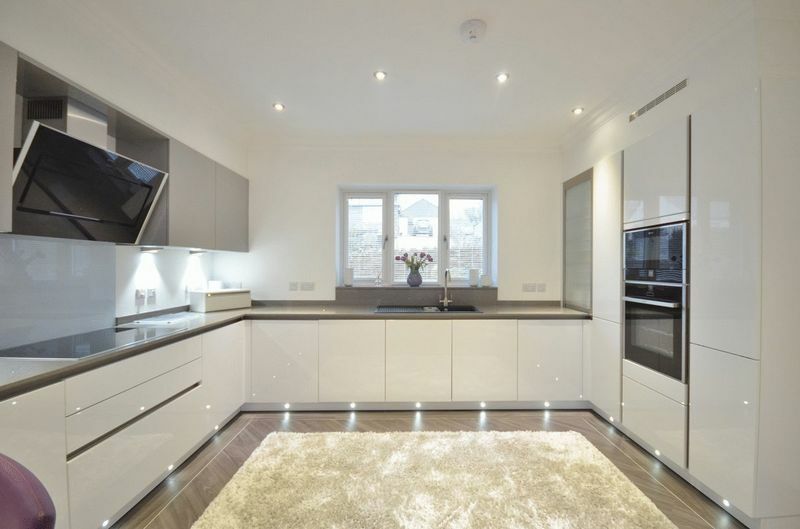 This stunning kitchen, in the most immaculate condition, incorporates a range of white and contrasting grey wall and base units with a complementary quartz worktop with matching quartz upstands. Built-in oven and integrated microwave, integrated dishwasher and integrated fridge and separate freezer. Large induction hob with a glass splashback and designer extractor canopy above. Sink 1.5 with drainer board and mixer tap. Decorative coving, pelmet lighting, sunken ceiling spotlights, Karndean flooring, double panel radiator and a uPVC double glazed window. Opens up to the lounge/diner. WC, pedestal hand wash basin with mixer tap and tiled splashback. Karndean flooring, single panel radiator and extractor. 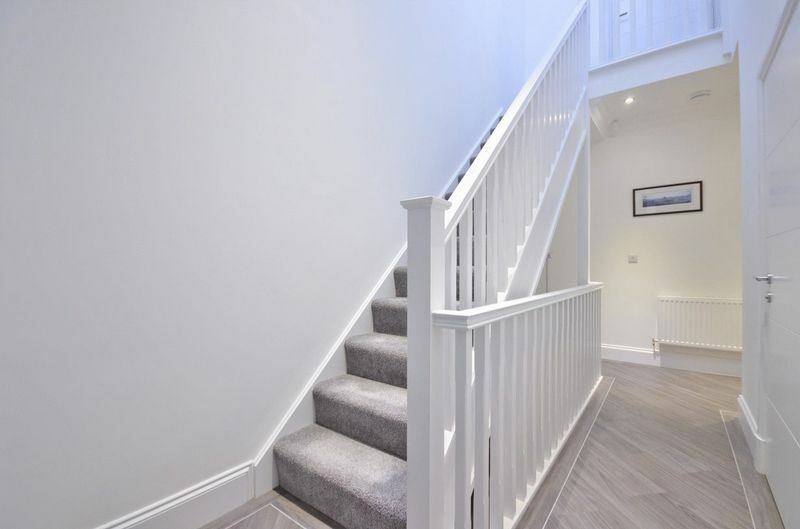 This "Z" shaped hall benefits from a large two door built-in cloak cupboard, understairs storage cupboard, power points, single panel radiator and leads to a bedroom, shower room, utility room and also the garage. Plumbed for a washing machine and space for a tumble dryer. Stainless steel sink with drainer board and mixer tap. Worktop, cupboards, sunken ceiling spotlights, extractor, single panel radiator and Karndean flooring. 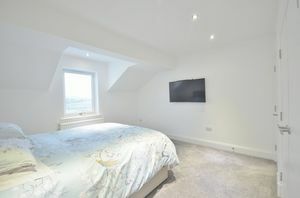 Double bedroom with connections for a flat screen wall mounted TV. Phone point, decorative coving, sunken ceiling spotlights, double panel radiator and a uPVC double glazed window enjoying pleasant views. There is a large built-in storage cupboard and leads to the bathroom and two bedrooms. 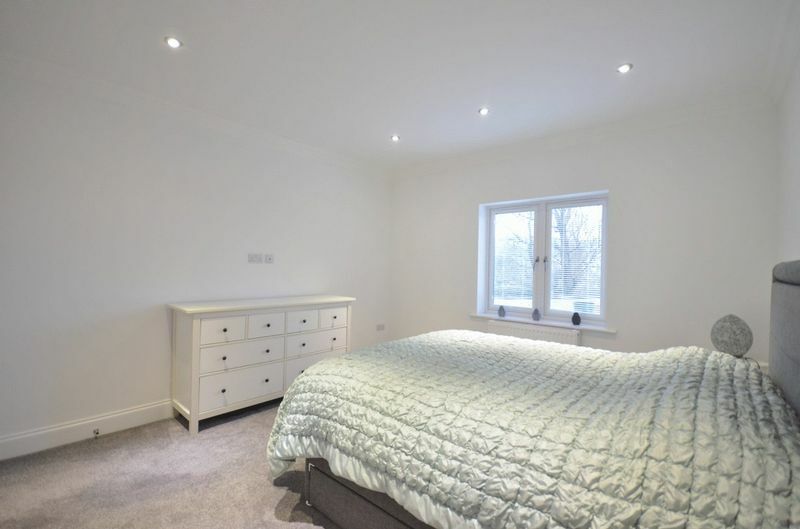 Lovely double bedroom which has a two door built-in wardrobe. Connections for a flat screen wall mounted TV. Sunken ceiling spotlights, double panel radiator and a uPVC double glazed window boasting the attractive, uninterrupted views across St Bees. Leads to the en suite. 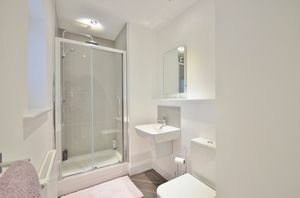 Lovely en suite comprising a shower cubicle with both monsoon and hand held shower heads. Wall hung hand wash basin with mixer tap and tiled splashbacks. 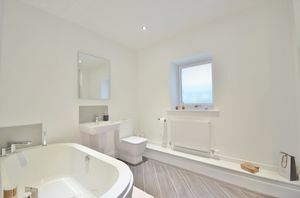 WC, Karndean flooring, sunken ceiling spotlights, single panel radiator and a uPVC double glazed frosted window. 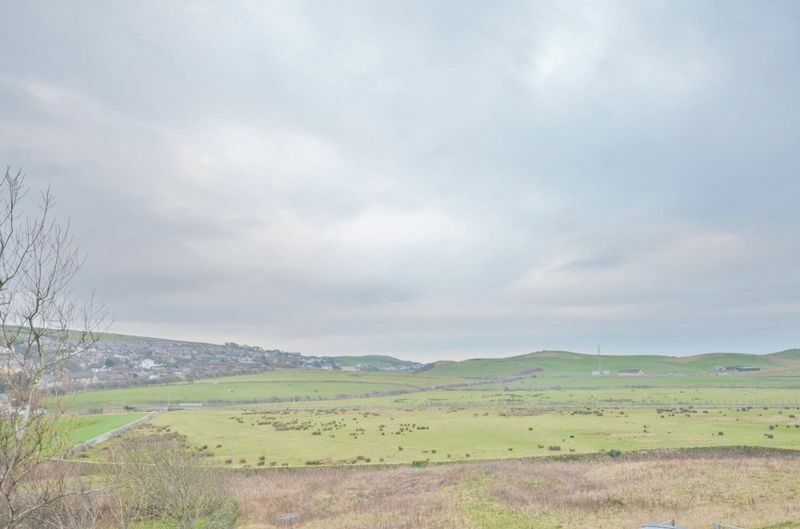 Double bedroom with a uPVC double glazed window enjoying elevated, picturesque views across St Bees. There are connections for a flat screen wall mounted TV. 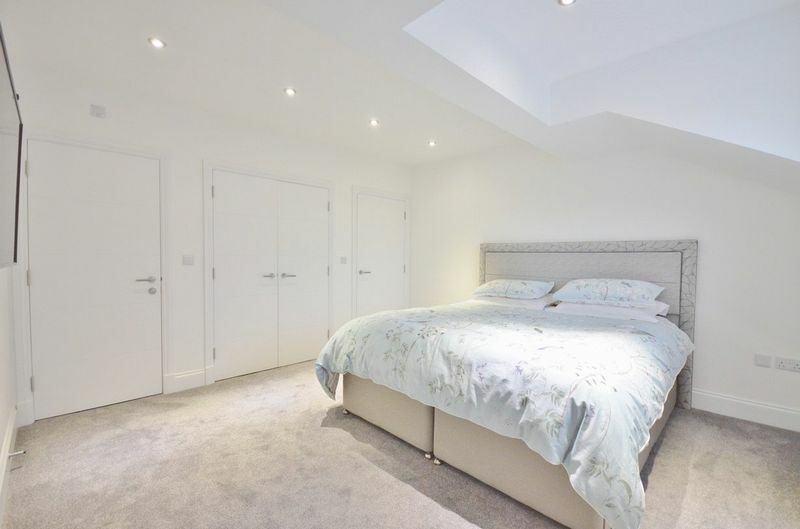 Benefits from a two door built-in wardrobe, sunken ceiling spotlights, double panel radiator and provides access to the loft via a pull-down folding ladder. 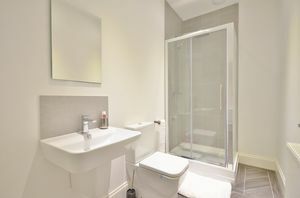 Immaculate bathroom suite incorporating a shower cubicle with both monsoon and hand held shower heads. 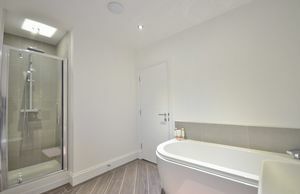 Bath with mixer tap, pull out shower head and a tiled surround. Wall hung hand wash basin with mixer tap and tiled splashback. 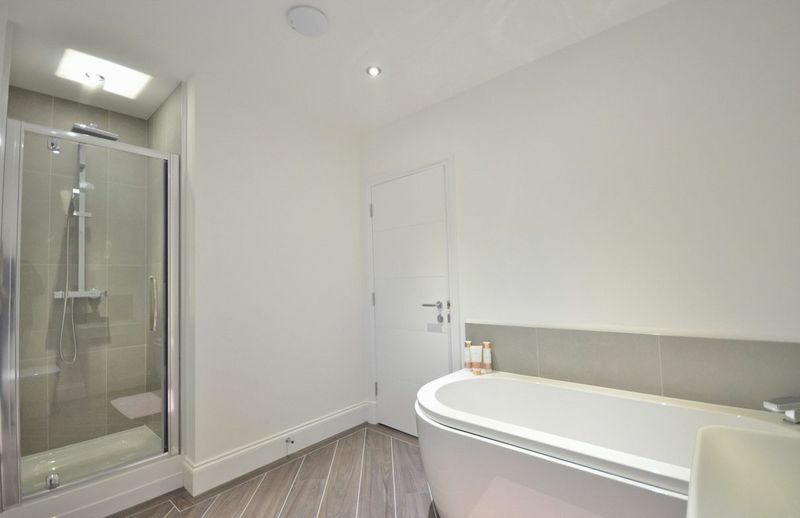 WC, sunken ceiling spotlights, Karndean flooring, double panel radiator, extractor and a uPVC double glazed frosted window. The garage has power points, lighting and an electronic up and over door. The property has a well maintained, low maintenance garden which sweeps from the front and around to the side. To the front the garden is mainly laid to lawn and to the side and rear there is chipped slate with a variety of shrubs. The front garden has an attractive sandstone wall while the side garden has a mature hedge. At the rear there is a drive providing parking for two cars and the drive also leads to the garage.